Hide the Fart is a simple Korean browser game that's all about, well, hiding your farts. 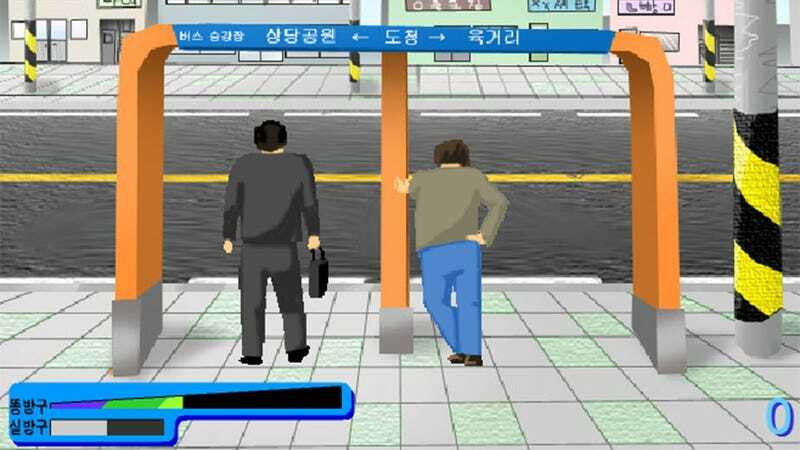 You play as a guy at a bus stop, where he's stood right next to another guy. Decorum forbids just farting, so you need to time your releases to coincide with passing traffic. The real challenge comes from the fact you're totally busting. You need to get these farts out. A gauge at the bottom is constantly filling, presumably with fart stress, and once it's up, boom. You're done.